Why are Mission officers using more force than cops at any other SFPD station? A relatively low percentage of San Francisco Police Department officers are repeatedly using force while on duty, according to department data. That trend, however, does not apply to officers at Mission Station, many of whom have been flagged for repeatedly using some kind of force. Roughly 25 percent of SFPD officers in 2018 were given at least one “alert” by the department’s so-called Early Intervention System — essentially a tally system that raises a flag if an officer uses force three or more times, receives a citizen complaint three or more times, is being investigated by internal affairs, or is involved in some form of civil litigation. That number jumped to 78 percent in the Mission District. All told, 125 officers at Mission Station received 215 total alerts in 2018. Compare that to the 117 alerts issued to 43 officers at Bayview Station. The system is meant to identify problem officers and allow supervisors to intervene before those officers’ behavior becomes more problematic. That intervention, however, comes at the discretion of supervising officers and few formally intervene. Of the 192 officers citywide who received two or more alerts in 2018, supervisors initiated only five interventions. Many of the alerts come from repeated use of force, according to the data. Around 597 officers out of the SFPD’s current membership of 2,330 officers received an alert in 2018. A total of 389 officers stationed in a district received alerts. Other units that receive alerts are the Gang Task Force, Tactical, and SVU units — which are not represented here. 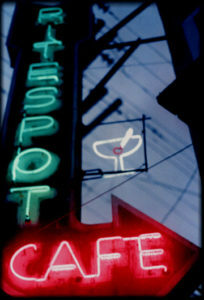 Image courtesy of the SFPD. 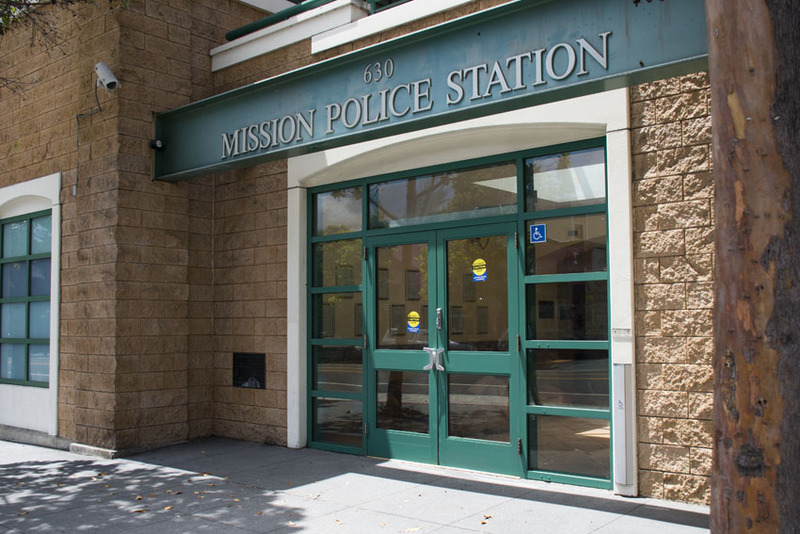 At Mission Station, however, 78 percent of the station’s roughly 160 officers received at least one alert in 2018. Around 70 percent of those alerts stemmed from repeated use of force — and 93 percent stemmed from either repeated use of force, repeated citizen complaints, or an internal affairs investigation. SFPD Sgt. Stacy Youngblood told Hirsch that those numbers could be high because Mission Station receives a high number of calls for service. The SFPD did not include calls for service in its 2018 report, but in 2016 Mission Station received more than 90,000 calls — the most in the city. Central Station, the next highest, received more than 84,000. But only 44 of Central Station’s roughly 149 officers received at least one alert in 2018. Youngblood said only a forthcoming analysis by the University of Chicago could begin to answer Hirsch’s questions. The university has been contracted to analyze department data and its report is expected in the next couple of weeks, he said. Although the department releases quarterly reports on the system’s data, Mission Local had to specifically request the number of officers receiving alerts by station. The only way to understand this disparity would be to ride in a police car, with the police, in every district for a month. Nobody is gonna do that. Thank you, Julian Mark, for an excellent article. Now let’s find out what is going on at the Mission Station. Is this a failure of the police who are in charge to demand change from their officers? Is this renegade cops who higher-ups are afraid to punish? Is this the failure of both to believe in necessary change. Curious about the racial breakdown of Mission Station also. You neglect to mention the possibility that mission station officers may be dealing with different types of crimes and criminal attitudes and responses than other stations do. You neglect to mention the possibility that the types of crimes, and reactions of the criminals, could be vastly different in the mission than they are in, say, Taraval. Not to mention that if you look at the crime map ( https://www.crimemapping.com/map/ca/sanfrancisco ) you can’t even see the street names in the mission because there are so many crime incidents on the map. If you don’t correlate these numbers with the the number of crimes and police calls then they’re practically meaningless. Mission local should take better care in their reporting when jumping to sensationalized implied conclusions about police conduct – particularly when looking at statistics without having any meaningful skills in interpreting analyIng the numbers they’re looking at. This is the second article in a week that has all but accused the police of racism and bad conduct with dubious factual basis in the accusation. Ah, so analyze the data, or better, take the data “to the next step.” Brilliant. And what a watchdog Commission we’ve got, wondering if it might be a “cultural issue.” At Mission Station? Wasn’t that the center of “textgate” or whatever they called the slew of disgusting racist texts shared by policemen who were shaking down SRO tenants, ripping off their money and drugs. And yes, Mission Station has by far the highest number of service calls? Why? Gangs? Prostitutes? No. The homeless. The flood of calls to Mission Station related to homelessness has been well documented by ML over the past 3 years. Why? Because in San Francisco even if homelessness is not a crime (ostensibly) it is treated as a police problem. Could it be that high number of force alerts relates to Mission Station’s outsize role in “dealing with” homelessness? Good thing the University of Chicago is on the case. OH, and some homeless use math. Methheads often attack people and need to be restrained by force. Hey,how about this. Maybe this is because the Officers are doing the job. Or, as in Marin with it’s higher rates of autism breast cancer, it might just be that more complaints are being filed against officers at Mission Station, because, well, there are many in the Mission with way to much time on their hands and out for vengeance for perceived slights from the SFPD. According to this quote, Mission Station officers receive 1.72 alerts per officer vs Bayview’s 2.72 alerts per officer – giving Bayview a much higher alert ratio., which would make the headline (and premise) of this article completely misleading? How many officers are there at mission station vs at Bayview? Sorry, but you are misinterpreting the table. The column on the right is the total number of alerts, not total number of officers at the stations. Compare the stats for each of those districts with the percentage of African-American, Mexican, Central American and South American and Pacific Islanders in them and I bet you’ll find a correlation with percent of police abuse.